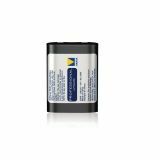 Battery DL123, 3VDC, lithium, for camera Special lithium battery DL123A ULTRA DURACELL for single use. Battery is very suitable for cameras. 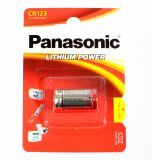 Battery CR123, 3VDC, lithium, for camera, PANASONIC Long lasting lithium battery Panasonic CR123 with voltage 3 VDC with high output required suitable devices which consume more such as: cameras, radios, toys, lanterns. List Price 5.99лв. VAT Incl. 5.69лв. VAT Incl. 5.39лв. VAT Incl. Battery ER14250, 1/2AA, 3.6VDC ER14250 lithium battery with a rated voltage 3.6 VDC and 1100 mAh capacity. 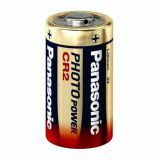 Lithium Battery 2CR5, 6VDC Special 2CR5 lithium battery with voltage 6 VDC. 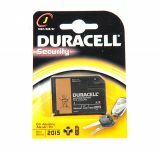 Battery 4LR61, 6VDC, alkaline Alkaline battery with unsurpassed performance for highly energy consuming devices such as remote controls, portable radios, kids games, lanterns and more. The battery is for single use. 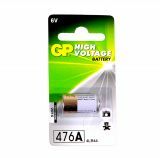 Alkaline battery 4LR44, 6VDC, 105mAh Alkaline battery 476A (4LR44) with a nominal voltage of 6 VDC. Intended for toys, cameras and more. 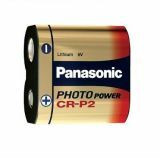 Battery CR-P2, 6VDC, Lithium Professional lithium battery CR-P2 with a voltage of 6 VDC camera and photo flash. Lithium Battery 4LR44, 6VDC Lithium battery, CR123AW, with voltage 6 VDC suitable for cameras, alarms remote control. clocks and others.